Enter the network path to your HomeSeer script folder and click the Verify Access to Folder button. 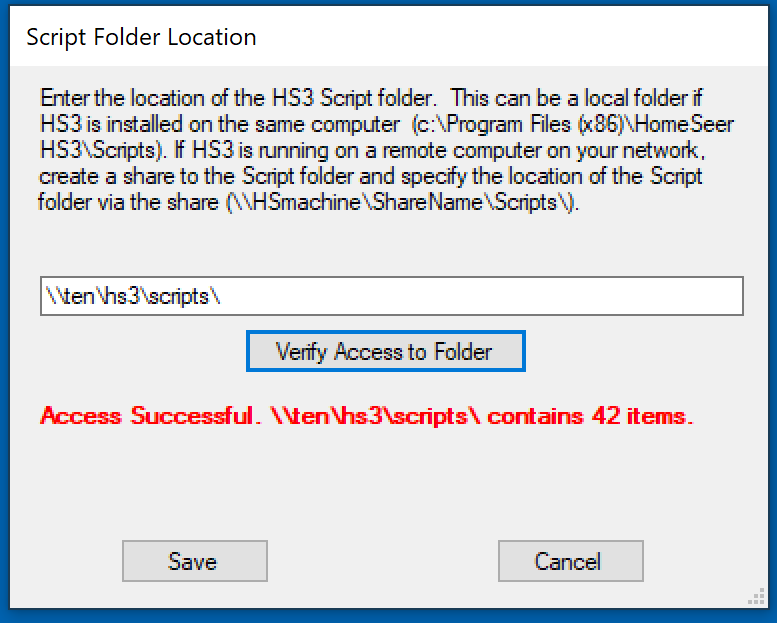 If successful, the number of files currently in your HS3 script folder will be displayed. Click the Save button to return to the Export Dialog. Now click the Export Selected Scripts button. 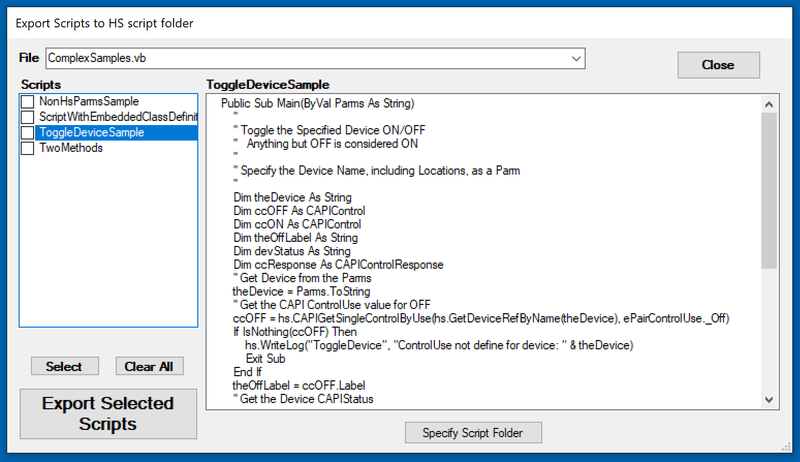 Another dialog opens indicating export results. Be sure to verify that all of your selected scripts were copied successfully.